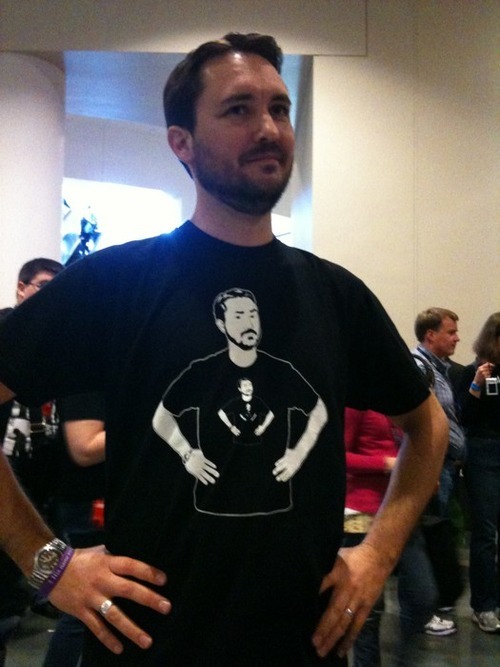 You probably have heard of the Recursive Wil Wheaton t-shirt. Paul (of Paul and Storm) sent it to Wil and this photo became quite popular. It was remixed by an unknown genius into an animated gif and “won at the internet”. Over the weekend i experimented with the new PointCloud Augmented Reality SDK (which is by the way brilliant and simple: 3D tracking and HTML5). I took Recursive Wil and turned the concept around: A Wil Wheaton Particle Emitter. Scott Meyer fromÂ basicinstructions.net sent me the original SVG file of the shirt’s image. My first try was using Processing.js for animation (Yes! Processing.jsÂ now works in AR). But SVG and CSS 3D were the better choice to get a perspective effect. And it’s hardware accelerated on iOS. Here’s a short description and the source code. Next Next post: PointCloud: How does it work?